Tacos are one of my favorite things to eat. Full of a wide range of meats and topped with a sprinkle of vegetables they make the perfect quick lunch. On a recent Saturday we found ourselves on the west side of town enjoying an afternoon flight at Lake Tribe Brewing when the hunger bug hit us. Not wanting to drive home we made the quick drive over to Loco’s Tacos & Bar located at 1525 W. Tharpe Street. 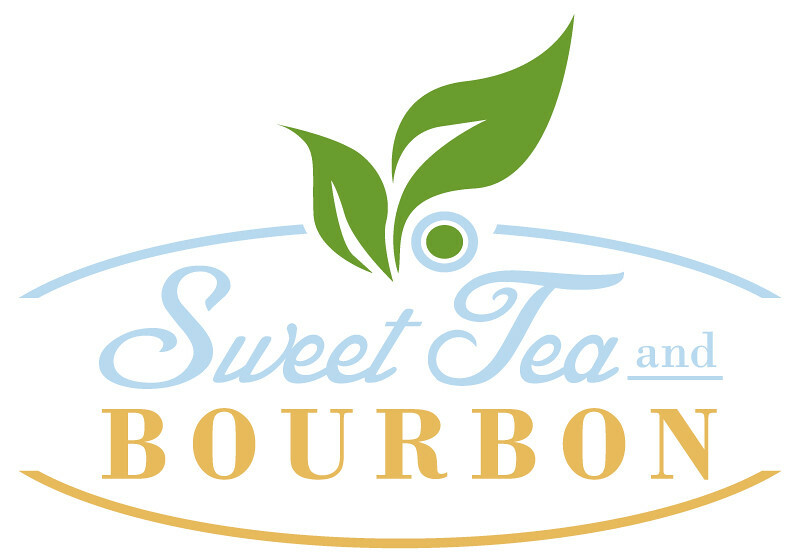 We were warmly greeted as we walked in and surveyed our options on a large menu board above a doorway. The middle board was dominated by Loco’s street taco offerings. 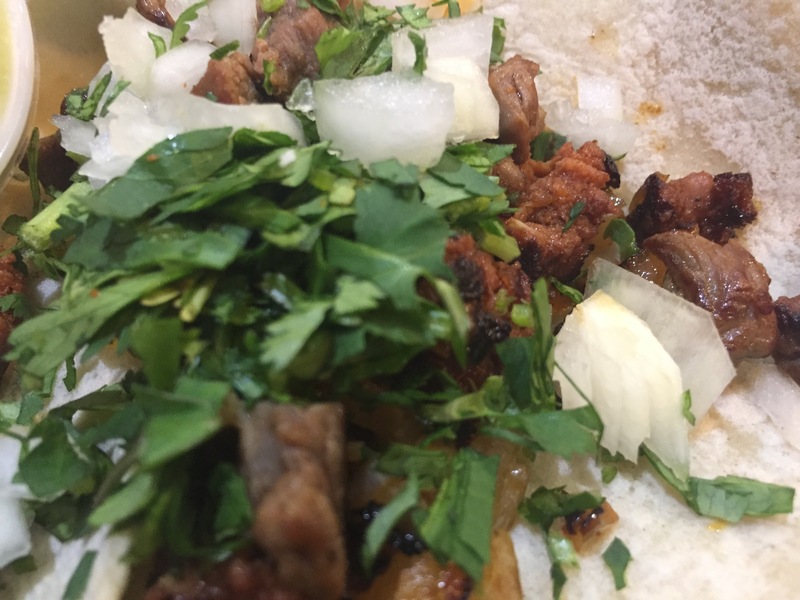 Six meat options were available served on warm corn tortilla and topped with cilantro and onion. 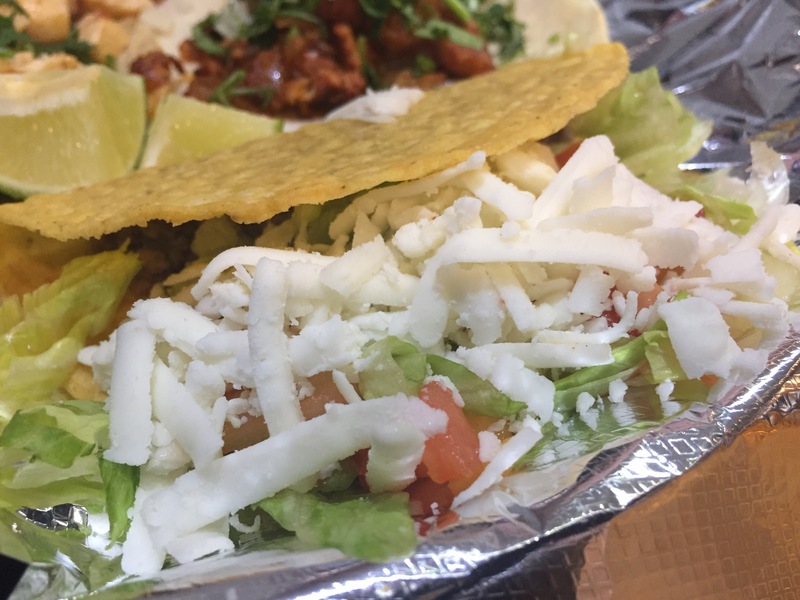 Loco’s also offers classic tacos, tortas, burritos, quesadillas, nachos and salads with a wide variety of toppings. Mexican rice, Pico de Gallo, and black beans are among the offerings available to customize your meal. After weighing our optioned I ordered three street tacos (chorizo, campechano, and pastor), while Kirsten ordered two street tacos (pollo asado and pastor) along with a classic ground beef taco. Loco’s serves beer and margaritas and we sipped a cold drink while watching the kitchen staff work on our lunches. The tacos arrived on two foil line plastic plates. Each of the street tacos was served on a warm corn tortilla and topped with a generous helping of finely chopped onions and cilantro. The meat covered the middle of each taco and spilled out the sides. I aimed my attention towards the chorizo taco, rolled it in half and took a bit. 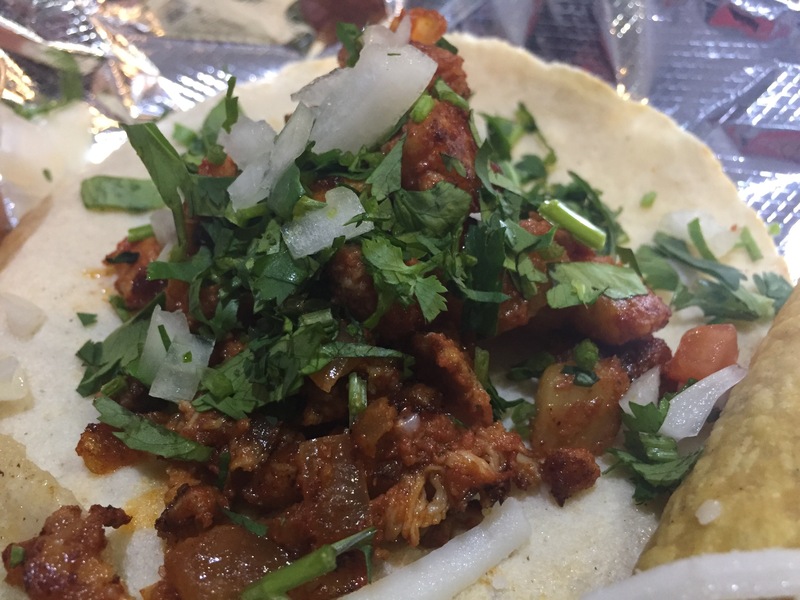 The slight smoky flavor of the chorizo mixed perfectly with the fresh onions and brightness of the cilantro. The other two tacos on my plate, the al pastor and campechano, did not disappoint. The al pastor was a tasty mixture of chunks of sweet pineapple and tender pork slow cooked and melded into something magical. 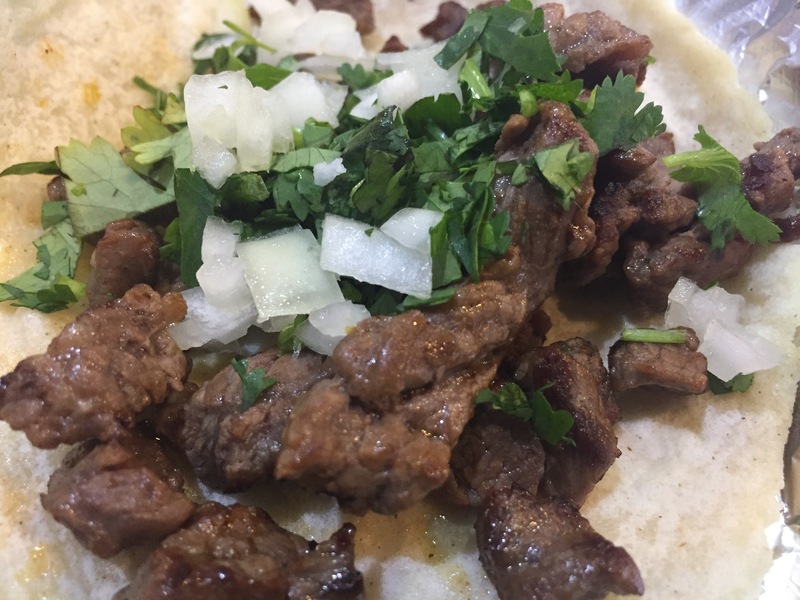 The campechano, a taco not seen in other Tallahassee spots, consisted of a mixture of beef based meats and was delicious. Two small cups of salsa accompanied the tacos (a red and green), which provided a nice amount of heat for those looking for a bit of spice. Nine bites later the tacos were history and I was regretting my decision only order three. Kirsten gave me a bit of her polo asado taco and I was impressed by the amount of flavor Loco’s packed into their chicken. The classic beef taco served on a crunch shell and topped with lettuce, tomato, and cheese was very good and again shined because of the flavorful meat Loco’s spoons into their offerings. I’ve got to drag Meesh over there to try their tacos!!! !